It all comes down to the main event on Sunday next October 21st, as the county’s club hurling calendar showpiece event, the Tipperary Water Senior Hurling Final for the Dan Breen Cup will be fought out in Semple Stadium at 3:30pm between Clonoulty-Rossmore and Nenagh Éire Óg. Both sides are in the final on merit and this unique pairing is sure to bring huge followings as each looks to build on their own last success in the 90’s, with Clonoulty winners in 1997 when they won their third title and Nenagh two years previous in 1995 when winning their only crown. Nenagh’s most recent appearance was in the 2015 final where they narrowly lost out to Thurles Sarsfields and also experienced heartbreak in the 2013, 2006 and 1999 finals since their maiden success. Clonoulty on the other hand have made three appearances since their last success, those being in 1998, 2010 and again in 2011 where they lost out to Drom & Inch. Interestingly enough both teams came through from Group 1 of the senior hurling championship, with Nenagh topping the group with three wins out of three. Clonoulty were in second having lost out the head to head with Nenagh by two points on a 1-20 to 1-18 score line on August 12th last. It promises to be an enthralling contest with anticipation expected to build all week among supporters of both camps. Before the main event, the Tipperary Water Seamus Ó Riain Cup Final will be contested between Burgess and Moycarkey-Borris and it throws in at 1:15pm. After coming through tough semi-finals and with promotion to the top tier guaranteed for 2019, the scene is set for an exciting match as both sides look to finish off their season on a high. Best wishes to all clubs in their finals on Sunday. Not forgetting the men in the middle either and their officials. Best wishes to Kevin Jordan (Thurles Gaels) who will take charge of his first senior final and also to Fergal Horgan (Knockavilla-Donaskeigh Kickhams) as he will rule over the Seamus Ó Riain Final and to their respective linesmen and umpires also. Admission on Sunday is as follows, adult €20, OAP’s/students €15 and U16s go free. There is also a weekend pass available for the price of €20 and this can be purchased at county games on Saturday or during the week in Lar na Páirce, (€5 refund for OAP/Student with ID on Sunday). On Sunday between both matches the Burgess intermediate team of 1993 will be honoured. The reason for this is last year the Toomevara senior hurling champions of 1992, ’93 and ’94 were recognised. We look forward to welcoming the Burgess intermediate team to Semple Stadium in what will be a huge occasion especially with their senior team in action beforehand. A Club Championship Forum takes place tonight, Tuesday, 16th October 2018, at 8pm in the Anner Hotel, Thurles. 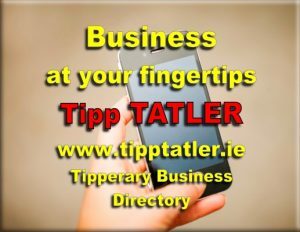 Every Tipperary club is invited to send 2 delegates which must include the club chairman or secretary and one more (e.g. player, selector, or county board delegate). The purpose of this Forum is to ensure everyone is fully informed in advance of our November county committee meeting when the format of our 2019 championships will be decided. Make sure your club has a say by being present the night. Refreshments will be served at 10pm. There were three county finals down for decision last weekend and congratulations to Thurles Sarsfields, Moycarkey-Borris and Drom & Inch on their victories. Thurles Sarsfields after many times of asking finally clinched the Tipperary Water County Intermediate Hurling Championship title following a thrilling match against Cashel King Cormac’s last Sunday. Cashel will now represent Tipperary in the Munster Championship where they will meet Lixnaw (Kerry) in the quarter-final on Sunday week, October 28th at 1:30pm in a Kerry venue. The Tipperary Water County Minor Hurling finals were epic contests also going right down to the wire in Cashel and Clonoulty. In the ‘A’ decider Moycarkey claimed their 5th title with a hard fought win over Cappawhite Gaels. And in the ‘B’ final Drom & Inch had just a point to spare as they held off Knockavilla-Donaskeigh Kickhams to take the title. The main football action resulted in wins for Ardfinnan and Moyle Rovers in the Tipperary Water County Senior Football Championship Semi-Finals. In Holycross, Ardfinnan held off a late Loughmore-Castleiney rally to reach the final while over in Cahir, Moyle Rovers pounced late to wrestle the honours from Clonmel Commercials as they reached the final with two points to spare. In the Tipperary Water Intermediate Football Semi-Final Moyne-Templetuohy proved too strong for Grangemockler Ballyneale as they progressed to the final. Combined with the main action in Semple Stadium there are up to 8 county games to look forward to this week including the Tipperary Water Minor ‘B’ Football Final which goes ahead this Saturday between Drom & Inch and Knockavilla-Donaskeigh Kickhams. The Tipperary Water Junior ‘A’ Hurling semi-final replay between Clonoulty-Rossmore and Boherlahan-Dualla goes ahead again in Páirc Ciocaim Dundrum, also on Saturday with a 1pm throw-in time. Also, on Sunday the second semi-final is scheduled to go ahead in Boherlahan between JK Brackens and the winners of Cappawhite/Mullinahone. Clubs are requested keep an eye on fixture updates for this one. As a result of the draw for next year’s Munster senior football championship, Tipperary will play Limerick in the quarter-final with the winners going on to play Cork in the Munster semi-final. Meanwhile, Munster Council also confirmed the weekends for the Munster senior hurling championship for 2019 as follows which are listed from a Tipperary perspective. On the weekend of May 12th, Tipperary travel to play Cork in Páirc Uí Chaoimh. The following weekend May 19th Tipperary will play Waterford in Semple Stadium. Then Tipp have a break week before the weekend of June 2nd when Tipp take to the road again to play Clare in Ennis. There is another week off before finally on weekend of June 16th Tipperary will play Limerick in Semple Stadium. The Munster Final is set for June 30th. Congratulations to all winners of the October Tipperary club draw which took place in conjunction with Mullinahone GAA club in TJ Mac’s Bar, Mullinahone last week. First prize of a Skoda Octavia / Renault Megane or €15,000 went to Ms K. O’Regan with JK Brackens the promoting club while Nancy O’Meara secured second prize of €5,000 or a Holiday with Portroe GAA club the promoters. Best wishes to five Tipperary players who made the short list nominations for this year’s Liberty Insurance Camogie All Stars. The five are Cáit Devane (Clonoulty-Rossmore), Karen Kennedy (Thurles Sarsfields), Orla O’Dwyer (Cashel), Grace O’Brien (Nenagh Éire Óg) and Mary Ryan (Moneygall). The 2019 Tipperary GAA Yearbook is being compiled at present and the Yearbook committee is seeking articles and information for inclusion. Clubs that have accomplished any unique achievement in 2018 such as winning a major title for the first time, achieving a double, opening new dressing rooms or a new grounds, etc. are requested to send through an appropriate article for inclusion. The Yearbook committee are looking to all clubs to submit any obituaries of their deceased members in the last 12 months. The maximum number of words for an obituary is 150 and please include the club name and the years also, e.g. 1937-2018, as well as his/her G.A.A. achievements and a photograph of the deceased person. Please note information must be submitted as outlined above and all articles, photographs etc. will be acknowledged. If an acknowledgement is not received please contact the Yearbook Secretary at 087-9960710. The Dr. Harty Cup Under 19A Hurling competition gets under way this Wednesday October 17th with two Tipperary schools in action on the opening day of the competition which is now at U19 where heretofore it was an U18.5 competition. In the Dean Ryan Cup (Under 16.5 A Hurling) 2018/2019 first semi-final Thurles CBS and Nenagh CBS squared up last week with the Thurles lads winning the Tipp derby on a score line of 2-22 to 1-9. Elsewhere, Our Lady’s Templemore also made it through to the semi-final with a convincing win over Scoil Na Trioniode Doon and will now play De La Salle Waterford who defeated St. Flannan’s. That semi-final is fixed for next Monday, October 22nd at 1:30pm, though venue not yet confirmed. Toomevara man, James McGrath has managed Bennettsbridge to the Kilkenny SH final following their semi-final win over Clara. Previous winners back in 1971, the ‘Bridge will meet Ballyhale Shamrocks or Erins Own in the final. Anticipation is building ahead of the renewal of recent rivalry all in aid of a great cause when Tipperary and Kilkenny legends come together to play a benefit match for Amanda Stapleton of Borrisoleigh on Saturday, November 3rd at 6pm in Bishop Quinlan Park, Borrisoleigh. Tickets are on sale from members of the Borris-Ileigh GAA club as well as outlets in Borrisoleigh, Lar na Páirce in Thurles and surrounding areas all for €20 and U16’s go free. There will be a marquee set up with live bands ’till late to entertain supporters. There is also a Club Colours 5km Fun Run at 11am on the day at the Track Attack course in Borrisoleigh. We would encourage everyone to make an effort to support this worthy cause. Ballina and Lahorna hosted the Juvenile 60×30 All-Ireland Finals last weekend and the handball committee wish to express thanks to both clubs, referees and officials for a job well done. There were some great games of handball at both venues. Tipperary were involved in 3 juvenile finals which included the Girls U15D played the previous weekend where Anna Mulcahy and Áine Spain were successful. Last weekend they were joined on the winner’s podium by Isabel Farnan and Siobhán Prentice (Ballina) in the Girls U16D and also by Cormac Doheny and Rory Grace in the Boys U16D. Tipperary’s adult players were in action at various venues in the All-Ireland semi-finals and overall were very successful at the weekend. There were wins for the following players who will now go forward to the All-Ireland finals; Ruby Masters – Paddy Collins and Jim Ryan (Ballina/Silvermines), GMBD Brendan Ryan and Willie Bourke (Ballina), DMAD Billy and Pakie Mullins (Clonmel), Master A Doubles Paul Mullins and Eddie Farrell, Junior Doubles John Ferncombe and Sean Maher. Tipperary are also through to All Ireland Finals in SMAD David Moloney and John O’Donoghue Cashel, GMAD Kevin Mullins and Adrian Johnson and in Ladies Junior Doubles represented by Sinead Meagher and Laura Shinnors (Nenagh/Lahorna). Unfortunately, in U21D Jerome Cahill and James Prentice (Lahorna/Ballina) were knocked out at the penultimate stage. Best wishes to all players in the forthcoming All-Ireland finals. South Tipperary G.A.A Centre Western Road Clonmel will host a monster Table Quiz with prizes of over €1000. The quiz will of general knowledge and is aimed at attracting a total entry of 54 teams of 4 with an entry fee of €40 per team. Entries are now being invited and as the expectation is that our target of 54 teams will be met, prospective teams are now being invited to confirm their participation as without delay in order to avoid disappointment. The semi-finals will be run over 3 Wednesday nights in October and November with the final on Wednesday, 14th November as set out below. Details of the quiz and ground rules are as follows; A representative from each team is invited to attend at the South Tipperary G.A.A Centre at 8pm this Wednesday,17th October to finalise matters and witness the draw for the 3 semi-finals from each of which the top 6 teams will contest the grand final. The semi-final dates starting at 8:30pm each night are as follows. (1) Wednesday, 24th October, (2) Wednesday, 31st October and (3) Wednesday, 7th November. The Grand Final as indicated will take place on 14th November. 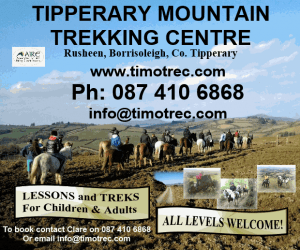 All competitions will be held in the South Tipperary GAA Centre and all are welcome. The event is being promoted by the centre as a fundraiser towards car park development at the venue. The 2019 GAA Season tickets are now on sale and will once again provide fantastic value for supporters in next year’s league and championship. Adult ticket will cost €120 and U16’s €30. This will allow the ticket holder access to discounted tickets for the championship group stages in your code. Benefits of the GAA Season Ticket include, access to an All-Ireland Final ticket (subject to meeting terms and conditions), AIB GAA club championship finals on March 17th, all Allianz league matches again in your code, including play offs, semi-finals and finals and also your county’s opening championship fixture of 2019. The Adult Club+ version ticket costs €200 and also includes club championships fixtures in the chosen county and a guaranteed All-Ireland final ticket should your county qualify, again terms and conditions apply.